E-commerce stems out as without doubt one of the basic pillars of a commerce entity. What Else Can 3D Scanning Support? Over the years we have been called in to work on a number of different projects needing 3D scanning. It is a fast and flexible solution for a number of industries that need to replicate an object or person. We have done scanning for sculptors needing a 3D scan of their art to rescale and/or print for distribution, which is one of our favorite things to scan. We’ve also tapped into the medical industry scanning prosthetics or parts of the human body to create a prosthetic. This can save a lot of time if a negative is needed and if the current method is casting. In a fitness center or sports arena, there may be a need to scan a person on their first visit to track progress as they build or lose body mass, or as they slim down and tone up. This can also be done to attract customers by showing the results that can be acquired or what can happen if they do nothing. Industrial markets have been using 3D scanning more and more to double check their work, making sure all parts meet their specs. Plus, the scanning of a working power plant helps in the design of different strategies, like an emergency evacuation, part replacement and overall efficiency. They may want to use scanning to measure pipe volume to determine capacity or distance between parts to help find weak points, etc. Architects use 3D scanning to help them understand the interior layout of a space or building to find out how to get a better visualization. The exterior of a building or home can also be scanned for historical design preservation, or to find out the exact measurements to build extensions or to enhance a design. 3D scanning can even be used as an educational tool that provides a way for students to understand how to work with digital models, and to show them how to quickly create a more efficient work flow and a more accurate model. As you can see, the imagination is the only limitation to what can be done with 3D scanners. Of course the more accurate data you need, the better the 3d scanner needs to perform. Your 3D scanning service bureau would be more than happy to select the scanner that best meets your needs. Where’s your closest TNG location? We welcome your feedback! Comment on our blog or visit our Facebook page. Who Governs the Cyber Character? There’s been controversy in the film industry over using cyber characters in a movie, or to finish filming using a cyber character if the talent passes away. We have been talking about insurance 3D scanning to insure a film will make it to the end in spite of interruptions or physical challenges. Most investors and those committed to a film or project will not easily accept defeat and allow the project to be shut down. 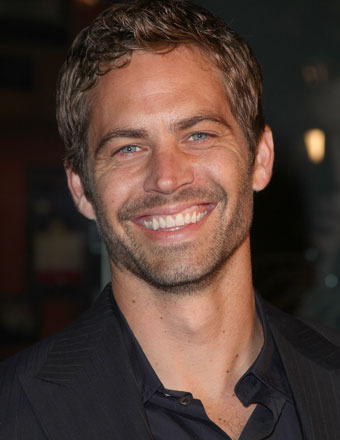 The passing of Paul Walker caught us all by surprise and we feel fortunate that we had the chance to meet and scan him for the film “Into the Blue.” He was delightful to work with; a great guy with a great attitude. As the filming continues for Fast and Furious, the need for 3D scan data is essential to finish the film. From a studio or producer’s point of view, anything can happen during post, and at some point they may start looking for a 3D scan of an actor because it is either too hard to get the talent back to the set, or too expensive, or both. This is the purpose of our insurance scanning, to have a digital double fill in with the occasional front shots. As technology gets better, it will be more feasible and more accessible. You will not pay to process your talent unless you need them. This keeps your cost down and you will have access to the talent, if needed. Win, Win! We are always looking for new ways to improve this process for production. We have scanned several actors in the past during pre-production, prior to principal photography, which is less stressful and there is no rush. The actors can also go to the scanning studio at their leisure to be scanned. Where In The World Will The Next VFX Film Shoot? Where, indeed! Another question to ask is, where are the best Tax Credits for Film and TV? It seems as though a business would follow the answer to that question as a way to create a great movie for the least amount of money. Unfortunately, your past venders cannot follow you as quickly, so you will need to come up with a new strategy to stay in the game. How many law enforcement shows have we seen with the dialogue, “follow the money trail…?” In our situation, that is exactly what we need to do. However, you cannot follow it everywhere as films are going in every direction – Europe, Asia, Australia, Africa and Canada. We have decided one continent is good enough for us. We are claiming North America as our home base and Los Angeles as our headquarters. The US and Canada should provide a good living with English being the first language in most areas, which will be our first step in good communication, understanding needs and creating relationships. This does not mean we won’t travel elsewhere for a job, it just means we will put our marketing efforts towards North America. Using this strategy, we will be able to offer our customers the opportunity to claim the tax credit while continuing to film in the location. We will also find ways to have the work processed locally. We know this is quite the undertaking, but when you love what you do, you find ways to make it work. We are also looking at new technology to keep the service fresh. You cannot expand while offering the same old stuff. You need to look ahead and visualize the next need or how to vastly improve what you did yesterday. All the answers lead to technology and how it will be the solution for years to come. Which camera do you look at? We say good luck to all our VFX brethren, and may we all help in making the biggest blockbusters hit the theaters in the future. State College and that i possess a typical vision. I’ve, like Point out University, frequently get the job done to explore the boundaries of character by exceeding expectations. About that point science were my personal past time, one particular I’d nevertheless to check out on any individual elses conditions. My time at UT, nevertheless, transformed that. Participating for that to begin with time within a full-length explore experiment at that level, I felt additional alive, alot more engaged, than I ever had well before. Grasping the difficult dynamics somewhere between electromagnetic induction and optics admission essay within an try to solve amongst the holy grails of physics, gravitational-waves, I couldn’t were a whole lot more pleased admission essays. As a result vindicated, my motivation to additionally formalize my have a passion for of science delivers me to Condition College. Thanks to this working experience, I’m sure now a lot better than ever before that Point out College is my long term, merely because because of it I seek a second, permanent, opportunity to observe my enthusiasm for science and engineering essay admission. In addition to simply science, I am drawn to Point out University for other points.